Yamaha Baby Grand Piano - Everything You Need To Know About It! Have you ever dreamt of having a grand piano at home, but thought: "I don't have the room for that and it's too expensive anyway"? Well, there's a solution for you in the form of the baby grand piano. But what is exactly a baby grand piano? Yamaha Baby Grands are affordable pianos which can fit in small rooms and still you'll have extra space. 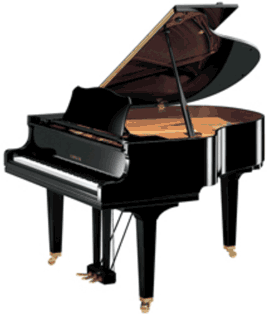 For example, you can have the GB1 baby grand which is just 150 cm long, for only $ 11,000. Basically, it is a smaller version of a grand piano. 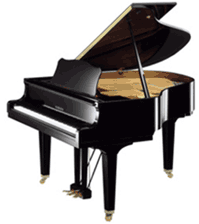 While a concert grand piano can reach 9' 0.3" in length (275 cm) a baby grand piano is 5' 0 - 5' 6"(152-168cm) long. The first baby grand was built by Ernest Kaps in the 1860's, although only in 1884 was it first patented by Hugo Sohmer, founder of Sohmer & Company. To give you an idea of how a baby grand piano looks like, here is a CFX Yamaha concert piano, and that is a GB1 Yamaha baby grand piano (look how shorter it is). The piano on the left is a CFX Yamaha concert piano, and the one to the right is a GB1 Yamaha baby grand piano (Notice how shorter it is). So why would someone prefer the baby grand to a fine upright piano? Sound - Well, a baby grand piano is still larger than upright pianos, with longer strings... Longer strings produce more overtones, and therefore they sound fuller and richer. Another important note is that longer strings in a piano vibrate more accurately than the shorter ones. Touch - The responsive touch of grand pianos has a special technique - the double escapement technique, which allows the pianist to easily perform trills, fast passages and to express nuances which are difficult to play in regular upright pianos. Only when you put a baby grand piano in a room or in an average salon can you appreciate the advantages of a grand piano. The baby grand can not be used as a concert piano since it is much smaller, producing sound that is non effective in concert halls. Yamaha baby grand pianos are also available in a silent version. It has a special button which when pushed silences the strings, allowing only you to hear the piano when connected to headphones. It is very handy for practicing without disturbing other people who may be around. 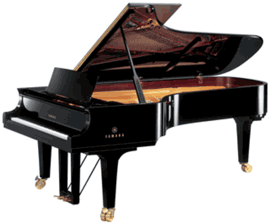 The prices of Yamaha baby grand pianos vary between $ 11,000 25,000. The size - Yamaha Grand baby pianos come in various sizes. The larger the piano, the more expensive it is. Quality - Yamaha uses different materials and different process of producing for its various models. 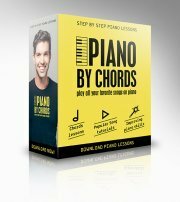 Therefore, you may find two pianos of the same size with a significant difference in price. Refinishing - Even two pianos of the same model may have a different price due to refinishing. The differences may even reach $ 5,000. Many people take the refinishing style seriously. Personally, I prefer paying for the quality of the internal parts of the piano, of course, it is up to you. The GB1 is the smallest Yamaha grand piano - 4'11'' (149 cm) length. It actually falls under the category of Petite Grand which are the smallest grand pianos. Price: $11,000-14,000. GB1K - Length: 5' 0" (151 cm). This piano is slightly bigger then the GB1. Price: $11,000-14,000. The GC1 or GC1M - Length: 5' 3" (161 cm) is built similarly to the C1, having duplex scaling and a rich and warm tonal character. It is a much affordable piano than the C1 because Yamaha uses cost-saving materials for its production. Price: $18,000-21,000. The GC1M Yamaha baby grand piano is basically a C1 piano. YAMAHA C1 - Length: 5' 3" (161 cm). This piano is from the Conservatory collection which serves thousands of music schools around the world. The C1 is an extraordinary reliable and durable piano which can bear long hours of playing and practicing every day. Price: $23,000-26,000. To conclude, the main issues here are space available for the piano, and its price. Yamaha makes it possible to get enjoyment from a grand piano even if you don't have a lot of space money. Still, I would not advise you to run to the store and buy a baby grand piano just because you want to have a grand piano at home... I recommend that you compare the sound and touch of a Yamaha baby grand piano to Yamaha's upright pianos and to those of other manufactures as well. Choosing a piano is something you do with your heart.